Here is a note from a reader, and it is a good reminder to do as many searches as possible and ask questions of as many people as possible before signing a contract for an apartment. 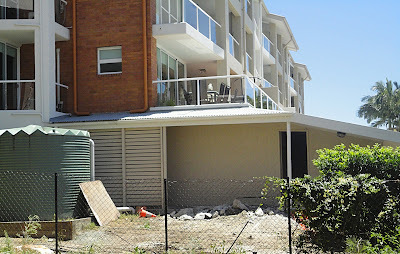 "Here is Winchcombe Place Apartments at 15 Vernon Terrace in Teneriffe (a.k.a. Newstead). Underpinning of the building is taking place. 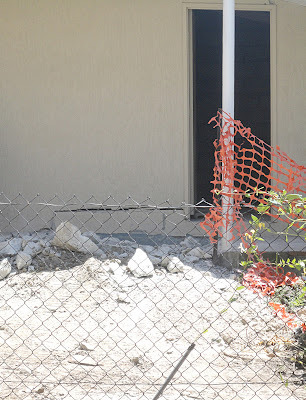 The front stairwells that exit to the street were recently underpinned as they had “parted” from the main building with cracks about 40mm in width appearing between the two. These photos show the huge cracks at the rear of the building which is currently being underpinned. Several units in this complex were on the market prior to the work commencing. 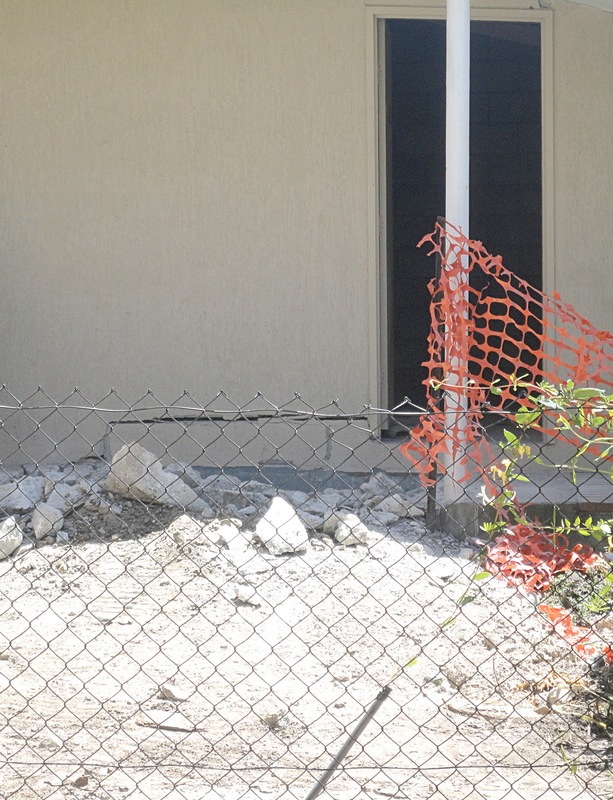 I looked at one at an “open” a few months prior to the work commencing and was unaware this work was to occur. Glad I didn’t buy one and then find this out. The agent didn’t tell me anything about it when I inspected the apartment in March 2011. I’ve since learned a levy had been struck to pay for the underpinning. I’m not saying the agent was dishonest, perhaps he did not know, only that I was not told. Perhaps I should have asked about proposed or planned works. Had I made a successful offer, I would not have been very happy to discover this and the extra levy that records show had already been struck at the time of inspection in March. Buyer beware!"